MASON, Katherine Elizabeth Katherine Elizabeth Stickell Mason, 82, of Simsbury, CT, passed away peacefully on Wednesday, (August 1, 2007), at her home with her family by her side. Born in Hagerstown, MD on July 5, 1925, she was the daughter of the late Clarence and Katherine Stickell. 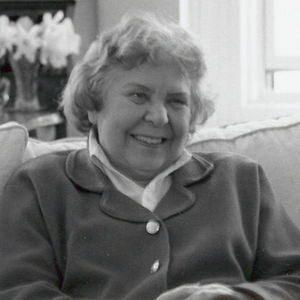 She grew up in Baltimore, MD, graduated from Washington College in 1948, and married her former husband, Francis V. W. Mason in 1952. They lived in various states including Texas, Oklahoma, New York, and Europe prior to settling down in Simsbury in 1963, where she has raised her four children and lived ever since. She was a faithful member of St. Albans Episcopal Church for more than 40 years and served faithfully on the vestry and St. Albans Altar Guild Committee during that time. She is survived by her four children, Francis and Geoffrey Mason of Simsbury, Douglas Mason, his wife Joanne and their son, Tyler of Weston, CT and her daughter, Elizabeth Mason of New York, NY. She also leaves her brothers, Robert Stickell and his wife Margaret; her brother, Richard Stickell and his wife Barbara, both of Alexandria, VA; her sister, Jane Cochran of Hagerstown, MD; and many nieces and nephews in Maryland and Virginia. Funeral services are to be held Monday, August 6 at 11 a.m. in St. Albans Episcopal Church with the burial following in Simsbury Cemetery. Calling hours will be 10-11 a.m. on Monday at St. Albans Episcopal Church, prior to the service. In lieu of flowers, memorial donations may be made in her name to St. Albans Episcopal Church, 197 Bushy Hill Road, Simsbury, CT 06070. The Carmon Funeral Home & Family Center of Avon is assisting the family.